Norfolk County lies in the heart of Carolinian Canada and boasts some of the highest ecological diversity of animals, plants and natural habitats in Canada. With 25% of the landscape in forest cover, Norfolk has the highest percentage of forested land in Southwestern Ontario. 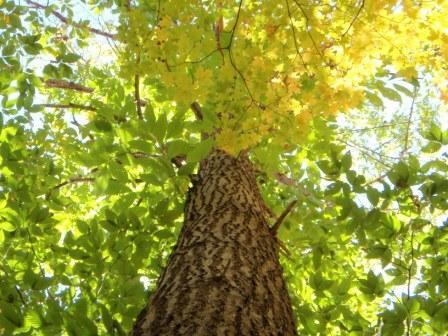 Our woodlands contain unique Carolinian species such as the Tulip Tree, American Chestnut, Cucumber Magnolia, Black Gum, and the symbol for our County, the Eastern Flowering Dogwood. Norfolk’s forests have played an integral role in the evolution of the County from pioneer status to a modern and vibrant agricultural centre. The natural resource sector, such as timber operations, is second in economic importance to agriculture. Today Norfolk County has 25% forest cover as a result of years of good forest management on both private and public lands. With over 300 members, Norfolk County is home to the largest woodlot owners association in the Province, the Norfolk Woodlot Owners Association (NWOA). The richness and diversity of our forested landscape as well as the historical significance of establishing the first Forestry Station in Canada, the St. Williams Forestry Station, has led to the recognition of our forest conservation efforts by the Canadian Forestry Association in awarding Norfolk County as the Forest Capital of Canada in both 2008 and 2009.